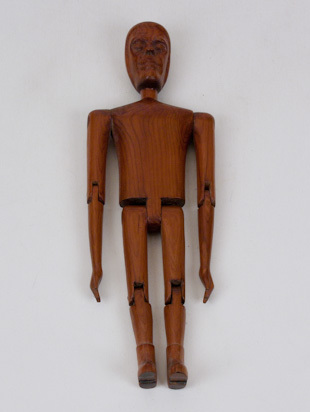 Among our collection are also more traditional folk art objects referred to as limberjacks or jig (dance) dolls. 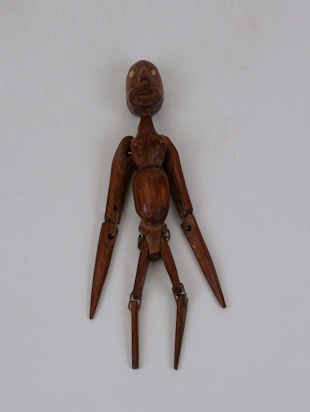 Made in the late 19th and 20th century they are hand carved, jointed or articulated dolls attached to a stick. Their function was that of a musical instrument. The joints mortise and tenon like, connected loosely by wire, leather, or pins. The clothes, if any, may have been drawn or painted by the creator or made of fabric simply tacked on or intricately sewn to fit. Often the shoes or boots would be made of lead to add to the tapping rhythmic effect. 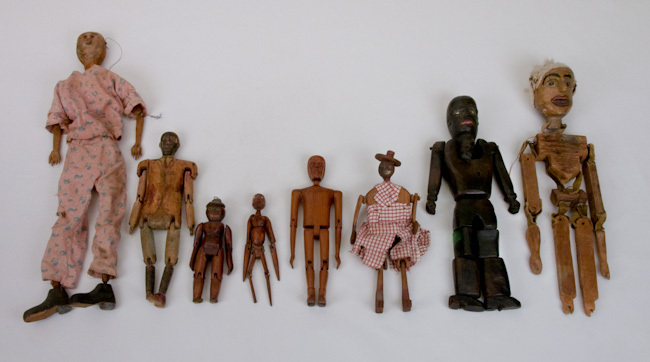 Other articulated figures or dolls by known artists's Henry York and William Purvis join the many anonymous examples.